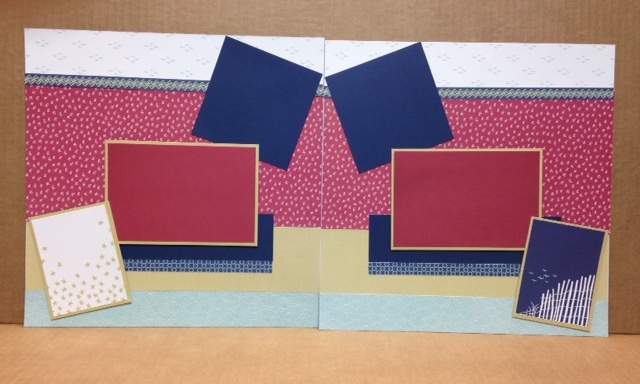 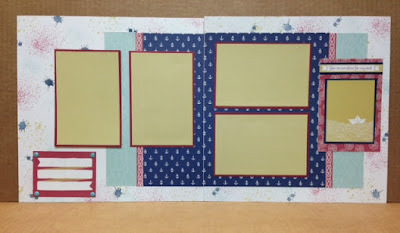 The pages for this workshop were inspired by some layouts created by Julie Carriere which I found on Pinterest. These pages still need some embellishments and titles, but we can talk about that when you come for the workshop. Many of the embellishments Julie used were from the Regatta complements pack. The Regatta paper pack needs to be pre-ordered for this workshop. 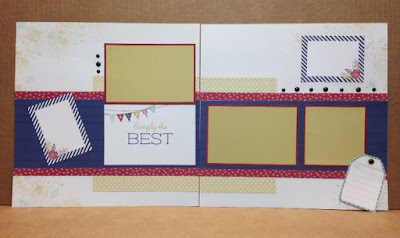 There is some stamping on two of the layouts using the Ink Blot Stamp Set .